Friendly, bright and lovingly furnished in detail rooms, allergy sufferers, all with shower / WC, balcony, safe, solid wood furniture, slatted adjustable (hardness, head and foot), satellite TV 26 LCD HD, radio and telephone. FREE: W-LAN in the house. In the family-run pension it is possible: TO BE HOLIDAYS AND BUT FEEL AT HOME! The house is idyllically framed by the KITZBÜHELER ALPS, which are for everyone - SUMMER or WINTER SPORTS PACKAGES AT A SPECIAL PRICE offer something that makes the holiday more beautiful. With its own garden and plenty of space to relax and relieve the stress of everyday life. Ideal starting point for mountain bike or Hiking trips and only a 3-minute walk from the bathing lake. Garden house for cozy barbecues. Accommodation in allergy-friendly comfort rooms with rich breakfast buffet. Child reduction on request. BONUS for fully paying persons: for 14-day booking: € 1,40 per night and person for early booking: € 0,70 per night and person (5 months before arrival and from 4 nights) FREE: W-LAN in the house FREE: hiking poles and rucksacks on loan Lockable room for mountain bikes, Rep. Stand and washing place DISCOUNT: 10% voucher on rental of bikes, e-bikes and others with accessories. You should spend your precious holiday in the family business "Pension Wolfsegg" because of * our diverse SPECIAL PRICE PACKAGES see our homepage * the tasty breakfast buffet leaves nothing to be desired * the many destinations and insider tips of the accommodating Fam. 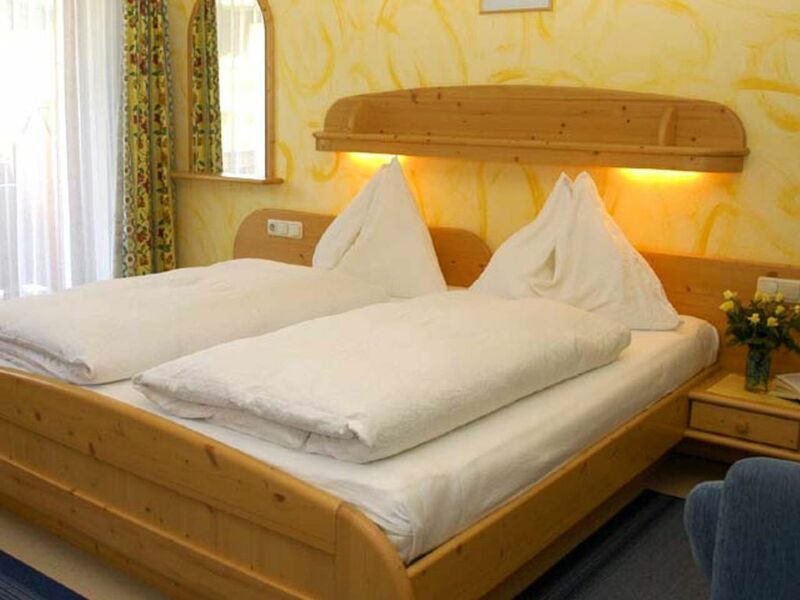 Schipflinger * the cozy, clean rooms and apartment * of the large terrace and the lovingly designed garden Kirchberg offers a varied program and a variety of activities. In summer you can go hiking, biking, down-hill cycling, swimming, ping-pong or just take a walk in the beautiful landscape and enjoy a concert in the evening. SPECIAL OFFERS: MOUNTAIN BIKE SCHI and HIKING PACKAGES. Please specify your e-mail address when requesting! Our cycling enthusiasts not only access a network of marked mountain bike tours, trails and contemplative bike paths, but also enjoy the following advantages at a top price: • Certified mountain bike guides for a safe experience • Small groups for all requirements • Guided tours, technique training, trails and "Après-Bike" cooperation partner Bike Academy Kirchberg and mountain railway Kitzbühel-Kirchberg Further offers and packages can be found on our homepage and we are happy to assist you personally. Parking directly at the house Free underground parking space per day € 3.20 from winter 2019-2020 FREE: Bus travel from Kitzbühel to Wörgl and Aschau, local trains from Wörgl to Hochfilzen with your guest card. On the day of arrival with booking confirmation. FREE: Shuttle to and from Kirchberg train station. GIFT VOUCHERS available! For the BAD WEATHERDAY the tourism association offers a varied program.